We all know Paris Hilton – the famous socialite, singer and actress from Hollywood. She is definitely one of the most famous women in the world, and is also considered to be one of the hottest! 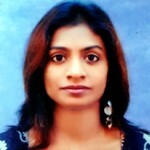 She is a savvy business woman who has been a part of reality shows that were highly rated a few years ago. One of the things that she’s better known for is her impeccable sense of style. She always looks fabulous wherever she goes. There have only been a few times that Paris has been caught without any makeup. Let’s take a look at the top 10 moments of Paris Hilton without make up. Here we go! This photo was taken when Paris was having a little fun in the sun. She looks pretty and fresh. It may be the sea and the sun that made her look like a stunner! After a dip, she looks no less than a diva even without make up. In this photo of Paris without makeup, she is wearing a cap and a pair of gorgeous designer shades. Talking to her friend on the phone and smiling, this close up reveals that even glam dolls can have acne and breakouts. And what is her secret remedy? Lemon juice! The best indeed! In yet another close up photo, Paris is wearing a pale blue t-shirt without any makeup on. She almost looks like any other girl you see on the street, drinking coffee with friends. A closer look reveals that Paris does look innocent and down to earth even without make up! Yes, you read it right! In this photo, her hair looks clean and shiny! And her face looks peachy and glowing! 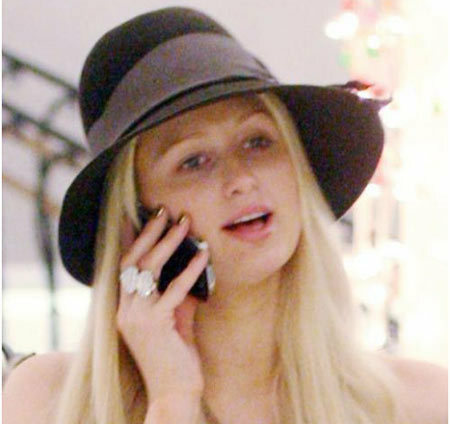 A day off from shooting, Hilton was seen sporting a dressy hat and wore jewelry. But she was not sporting her usual flawless makeup and yet she still looked great! This is another photo of the socialite without any makeup on. A pair of fab pink shades looks amazing on her, and complements her skin tone, while accentuating her petite frame. In this photo, Paris looks sweet and angelic. Wearing a simple linen top in an olive green shade and sporting a braid, she looks cute and almost innocent! It was a refreshing change from her usual dolled-up look! This is yet another photo of Paris without any makeup on in which she looks young and fresh! Visiting kids at the hospital may have given her the glow she is seen with! She looked positively radiant! In this photo, she sports a casual look that suits her. With a cropped knit-top with stars and stripes and a pair of dark denims, she showed off a new haircut that looked really good on her! Casual and simple, this photo certainly made her look great! 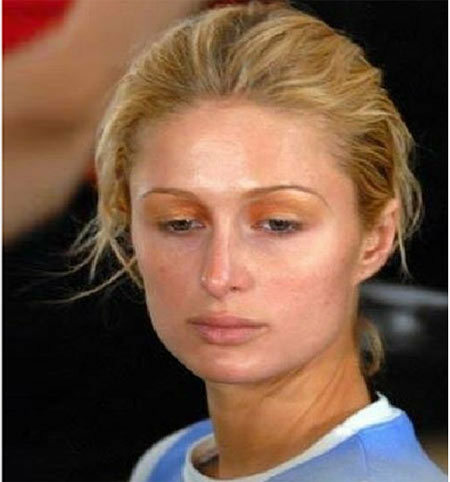 It was not easy finding photos of Paris Hilton without makeup but we saved the best for last. This is a photo of a young Paris in 1998! She looks so different and it is hard to believe that it is the same person. Young, fresh-faced and sweet, this is a photo that should definitely be saved! 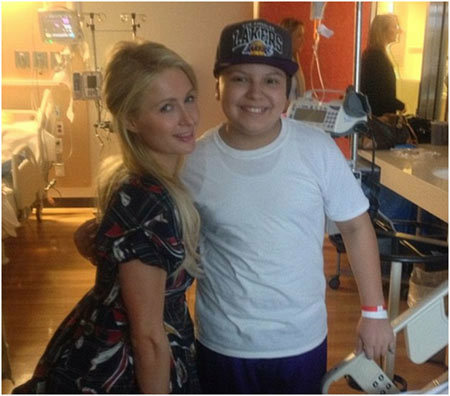 Well, these are the top 10 photos of Paris Hilton without makeup and like everyone else; she has good days and bad! This beautiful young lady always looks beautiful no matter where she goes! How is Taylor Swift without Makeup?